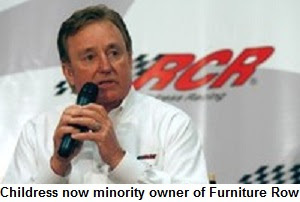 Furniture Row General Manager Joe Garone told Sirius NASCAR Radio’s Sirius Speedway with Dave Moody that as part of the team’s new technical alliance with Richard Childress Racing, Childress is now a part-owner of FRR. “That is a huge part of the deal for us,” he said. “This is not a smokescreen. 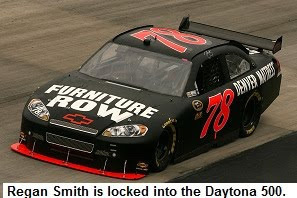 Richard Childress will become a minority owner of Furniture Row Racing.” Under the arrangement, Furniture Row’s #78 Chevrolet will use 2009 owner points accrued by RCR’s #07 Chevrolet to lock Regan Smith into the first five races of this season. He confirmed that the team will not utilize Earnhardt-Childress Racing Engines, choosing instead to continue their relationship with Hendrick Engines. Furniture Row will once again contact with Kevin Harvick, Inc., for over-the-wall pitcrew services this season. "Our hope in 2009 was to be better prepared by racing less, and it actually did work,” said Garone. “We had more time to get our cars together, and it paid off for a time. Halfway through the season, though, not being there every week began to catch up to us. We fell behind. The road crew never really got into a rhythm. When you’ve been gone for three weeks, it’s almost like having to re-learn everything. Sirius NASCAR Radio’s Sirius Speedway with Dave Moody is teaming with Ray Evernham to raise money for the new Ronald McDonald House of Charlotte, NC. Nearly two decades ago, Evernham needed a place to stay while his year-old son, Ray J, was treated for leukemia at New York’s Sloan-Kettering Hospital. Ronald McDonald House gave him and his family a home away from home and a sense of comfort that he has never forgotten. "I can't explain what it means to be so lost in a town with a sick child," he said. "Parents will find comfort within these walls. It's important that Ronald McDonald House of Charlotte gets built and used." Evernham recently made a $250,000 donation to the cause, and also agreed to serve on the charity's executive board. His pledge pushed donations past the $6-million mark, but the fundraising drive is running behind projections, and is well short of its $9-million goal. "This is something I have to do," said Evernham. "You don't let things like this go by without getting involved." Sirius Speedway has set a goal of $5,000 in listener donations. If that goal is met, host Dave Moody will join Evernham in receiving an on-air pedicure, with the color to be selected by the largest individual giver. In addition, Evernham will match listener donations up to an additional $5,000. Construction is scheduled to begin next week, following a ground-breaking ceremony on Wednesday. The 35,000-square-foot facility will be built on a one-acre lot donated by Carolinas Medical Center, and will be able to house up to 28 families of sick children. Charlotte has two large children’s hospitals, and many families travel to the city to take advantage of the care provided by Carolinas HealthCare’s Levine Children’s Hospital and Presbyterian’s Hemby Children’s Hospital. Ronald McDonald House of Charlotte will be the fifth Ronald McDonald House in North Carolina and one of 160 nationwide. Donors are asked to send checks and money orders (no cash please) to Sirius Speedway, c/o MRN Radio, 555 MRN Drive, Concord NC, 28027. Make checks payable to Ronald McDonald House of Charlotte. Denny Hamlin tore the anterior cruciate ligament in his left knee Friday playing pickup basketball, but will not have surgery to repair the injury until after the 2010 season. Hamlin disclosed the injury after being forced to withdraw from a skills competition for NASCAR drivers hosted by the NBA's Charlotte Bobcats Saturday night. He said it occurred when he planted his foot to make a move toward the basket the previous day. On his Twitter page, he promised not to let the injury affect his drive for the 2010 Sprint Cup championship,saying, “No matter what people may think, this injury will not stop me from being a contender. This is a minor setback that will only serve as motivation for me." Hamlin underwent surgery on Dec. 16 to repair an unrelated meniscus tear in his right knee. Riggs To Race At Daytona: Sirius Speedway has learned that Scott Riggs will drive the #09 RAB Motorsports NASCAR Nationwide Series Ford in the 2009 series opener at Daytona International Speedway. Sources say that the deal is for one race only, but could expand if additional sponsorship is found. The #09 car was driven a year ago by John Wes Townley, but Townley and his Zaxby’s sponsorship have moved to Richard Childress Racing for 2010. Riggs has been sidelined since leaving Tommy Baldwin Racing early last season after being unwilling to be a start-and-park driver. Crewchief News: Former Richard Petty Motorsports crewchief Kevin Buskirk will serve as crewchief for Tommy Baldwin Racing’s #36 Chevrolet and driver Mike Bliss this season. The team recently announced a switch from Toyota to Chevrolet for 2010 with Wave Energy Drink serving as primary sponsor in 14 events, beginning with the Daytona 500. 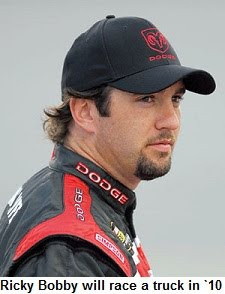 Buskirk was crewchief for Elliott Sadler’s #19 Dodge at RPM until being reassigned with the company in August. Iain Watt has been named crewchief for Robby Gordon Motorsports. We previously worked at what is now now Richard Petty Motorsports, serving as Director of Performance Engineering from 2007 until last season, when he was part of a major layoff following the merger of RPM with Yates Racing. The Gordon team still has not determined how many races it will run, after being unable to secure a new major sponsor to replace the departed Jim Beam. And Finally... Federated Auto Parts will sponsor Kenny Wallace’s #28 Jay Robinson Racing Nationwide Series Chevrolet in eight races this season, including the Federated 300 on June 5 in Nashville. Federated will be an associate sponsor in the remainder of the races. Federated will also back Wallace in over 50 dirt track events this year, and will serve as the "Official Auto Parts Supplier" for the Kenny Wallace and Jay Robinson Racing teams. So You Say Jimmie Johnson Is Dull? 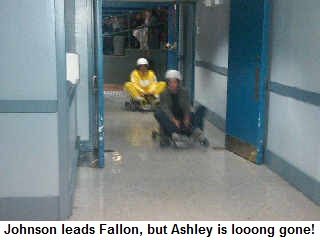 Check out Jimmie Johnson's recent appearance on the "Late Night With Jimmy Fallon" show, when he raced mini-karts with Fallon and guest Ashley Judd. Johnson didn't win -- thanks to a bit of a head-start by Judd -- but he kept Fallon behind him by lobbing hunks of cauliflower stolen from the green room. Click HERE for the video. NASCAR To Drivers: "Boys, Have At It." NASCAR met with the media today as part of the annual Sprint Cup Series Media Tour. In stark contrast to past seasons when announcements were often few and trivial in nature, the sanctioning body announced a number of wide-ranging changes that are sure to have a major impact on the sport. The most noteworthy of today’s announcements was the confirmation that NASCAR will become less involved in policing on-track activity this season. NASCAR Vice President of Competition Robin Pemberton added the specifics, confirming that the sanctioning body will lift its restriction on bump-drafting at Daytona and Talladega. “The bump drafting regulation as we’ve known it will be eliminated. The so-called “yellow line rule” will remain in effect from green to checkered flag at both Daytona and Talladega. NASCAR President Mike Helton said the “hands off” approach was already being implemented at the end of last season. “If you look at 2009 -- especially the last couple of races in the Nationwide Series with Denny Hamlin and Brad Keselowski and the Sprint Cup Series with Montoya and Stewart -- we gave them a lot of latitude,” said Helton. “Eventually, we had to say `Enough is enough,’ but I think there was less of a reaction from NASCAR than you would have seen a few years ago. NASCAR also addressed restrictor plates, with Pemberton confirming that a 63/64-inch restrictor plate will be mandated for this year’s Daytona 500, the largest in many years. “We think it’s important to give the drivers a little more horsepower and throttle response,” he said. Pemberton also confirmed a test of NASCAR’s new rear spoiler package at Charlotte Motor Speedway on March 23-24, with implementation to follow as soon as practically possible. He said he expects the new spoiler to add stability and “a little bit of drag” to new Sprint Cup aerodynamic package. 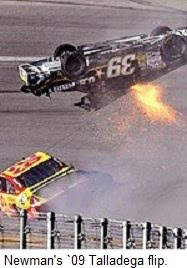 France insisted that the change was not implemented as a result of Ryan Newman’s airborne crash at Talladega last fall. In fact, he said the decision was almost completely competitive in nature, adding, “If we didn’t think the racing would be improved by replacing the wing with a spoiler, we wouldn’t have done it." NASCAR also announced the adoption of double-file “shootout style” restarts for the NASCAR Camping World Truck Series in 2010, along with a return to conventional, single-stop pitting with a limit of six crewmembers over the wall. There will also be a “spec engine” option for the trucks on tracks of 1.25-miles or less. And finally, there will be a new title sponsor for the 2010 Regional Series. K&N Filters will replace Camping World, with the series’ now known as the NASCAR K&N Pro Series East and West. K&N’s sponsorship contract is for seven years. Sirius Speedway with Dave Moody has learned that the NASCAR Camping World Truck Series will compete at Darlington Raceway in August of this year, as a replacement for the now-cancelled event at the Milwaukee Mile. Expect an official announcement during tomorrow’s NASCAR portion of the annual Media Tour. Front Row Motorsports General Manager Jerry Freeze told Sirius Speedway with Dave Moody today that negotiations are underway to give all three of the team’s Fords guaranteed start status for the first five races of 2010. Freeze said driver Robert Richardson, III, will attempt to qualify FRR’s new #38 Ford for the Daytona 500 as part of a three-race sponsorship with Mahindra Tractors that includes both Daytona races and the spring race at Talladaga. David Gilliland will run a majority of the races for the team with sponsorship from Taco Bell, and Freeze said “a couple of races” have been left open for a possible limited return by the team’s 2009 driver, John Andretti. NASCAR Sprint Cup Series Director John Darby will be transferred to a managerial position at the sanctioning body’s Research and Development Center as soon as his replacement can be chosen and trained. The move comes as a surprise, but was confirmed by multiple sources today who spoke on the condition of anonymity. NASCAR is expected to officially announce Darby’s transfer tomorrow, during its portion of the sport’s annual Media Tour. 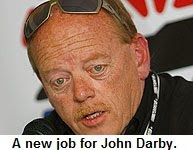 No timetable has been set for selecting his replacement, and sources tell Sirius Speedway that Darby will continue in his former post until a replacement is hired and trained. Darby began his career as a race official in 1982, becoming Technical Director of NASCAR’s now-defunct Sportsman division in 1989 before overseeing the NASCAR Busch Series for three seasons. He replaced Gary Nelson as Director of what is now the NASCAR Sprint Cup Series following the conclusion of the 2001 campaign. He was tasked with overseeing all aspects of the series’ rules, technical inspections and enforcement. Two Rides For Gilliland: BAM Racing announced today that David Gilliland will drive their #49 Toyota in this year’s Daytona 500, with sponsorship front Warner Music Nashville and Larry the Cable Guy. BAM also announced recently that they have entered into a technical alliance with Robby Gordon Motorsports that will see RGM provide them with cars, equipment and personnel support. In addition, Gilliland will drive a third entry out of the Front Row Motorsports Sprint Cup stable this season, sharing the #38 Ford with Robert Richardson Jr. Gilliland will reportedly steer the car in a majority of events, joining teammates Travis Kvapil and Kevin Conway. Buschs Re-Up: Joe Gibbs Racing has signed Kyle Busch to a new, multi-year contract that will keep Busch in JGR equipment for the next several years. Exact terms of the signing were not revealed, but team President JD Gibbs described the length of the pact as “less than seven” years. Busch’s current contract was set to expire at the end of the 2010 season. Penske Racing has exercised an option on big brother Kurt Busch's contract for the 2011 season, as well. Busch will still be allowed to talk to other teams about 2011 and beyond, but Penske has the right to match any offer. Team owner Roger Penske said yesterday that he intends to keep the 2004 Sprint Cup champion in his Dodges for many years to come, and Busch said he hopes to hammer out a long-term pact with the team. Penske Racing also announced that Ruby Tuesday restaurants will sponsor Brad Keselowski’s #22 NASCAR Nationwide Series Dodges next season, serving as primary sponsor for six races and as an associate in the others. Ruby Tuesday is expected to debut as a primary sponsor on April 30 at Richmond International Raceway. 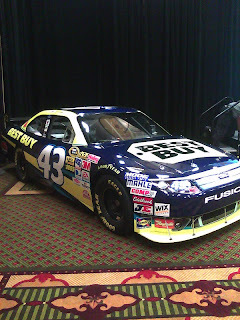 AJ Allmendinger's new #43 Best Buy Ford was unveiled this morning during Richard Petty Motorsports' stop on the annual NASCAR Media Tour. Roush Fenway Racing will make what is being called a “special driver announcement” tonight on SPEED’s NASCAR Race Hub program. Sirius Speedway first reported last Wednesday that Bill Elliott would drive Roush-Fenway’s #6 UPS Ford in next month’s Budweiser Shootout at Daytona, and sources say that those negotiations are nearly complete, and that the deal could be announced tonight. David Ragan will drive the #6 Ford again this season, but is not eligible for the race. 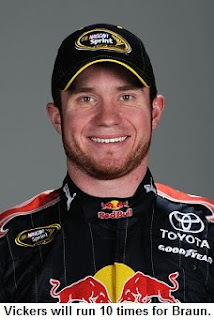 Elliott qualifies as a former Sprint Cup, Daytona 500, Coke Zero 400 and Budweiser Shootout champion. Shrinking...And Growing: There were a pair of changes announced today to the 2010 NASCAR Sprint Cup Series schedule. Auto Club Speedway in Fontana, California announced that their October 10th race will be shortened from 500 miles to 400. The new Pepsi Max 400 will be the fourth race in the 2010 Chase tor the Sprint Cup. Track President Gillian Zucker said the change came after discussions with NASCAR " in regard to making Auto Club Speedway the most competitive track possible for NASCAR racing." While Auto Club trims one if its events, Phoenix International Raceway will lengthen the first race on its 2010 calendar. The April 10 Subway Fresh Fit 600 will be 600 kilometers in length, an increase of 100 kilometers (63 laps) from previous editions. PIR President Bryan Sperber, said the change was made in part to introduce new pit stop strategy by altering the required number of fuel cycles. MWR/NASCAR Partner Up: NASCAR and Michael Waltrip Racing have announced that NASCAR will now be the sole licensing representative for the race team. The agreement includes the team itself, along with drivers David Reutimann, Martin Truex Jr., Michael Waltrip, Trevor Bayne and Ryan Truex. With this agreement, NASCAR’s licensing arm will now oversee all the team’s licensed product business, including track merchandise, e-commerce and national retail, as well as retail development, new business, marketing, public relations and media assets. Michael Waltrip Racing Vice President and General manager Ty Norris will join us at 3:40 PM ET today to talk about the new deal. Former Renault Formula One driver Nelson Piquet Jr. said today that he will leave the F1 circuit to focus his attention on NASCAR stock cars. 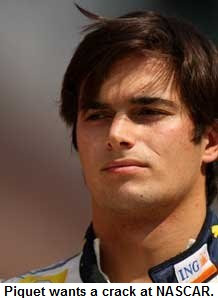 Piquet was fired by Renault last August and subsequently triggered F1’s so-called “Crashgate” scandal by revealing he had crashed his car deliberately at the 2008 Singapore Grand Prix, while following team orders to help teammate Fernando Alonso win the race. Piquet declined to reveal what series he intends to run, or with what team, but sources tell Sirius Speedway that he is scheduled to take part in a Red Horse Racing Camping World Truck Series test tomorrow and Thursday at Florida’s New Smyrna Speedway. If that test goes well, the possibility exists for Piquet to be in one of the team’s Toyota’s in the season opener at Daytona International speedway next month. The second-generation Brazilian driver’s best finish in 28 career Formula One starts was second in the 2008 German Grand Prix. In other Truck Series news, Sirius Speedway has learned that NASCAR Camping World Truck Series veteran David Starr will move to Randy Moss Motorsports this season, driving the #81 Toyota steered a year ago by Tayler Malsam. Sources say that Starr will bring his 2009 sponsor, Zachry Industries, with him from HT Motorsports, where he drove the #24 Toyota last season. Starr declined to discuss the deal when contacted yesterday, pending a formal announcement from the team. That announcement is expected to take place later this week, or next. Former Rusty Wallace, Inc. crewchief Trip Bruce has left the team to accept a new position with Stringer Motorsports, and will serve as crewchief for USAC open-wheel star Brad Sweet in his rookie season on the NASCAR Camping World Truck Series. The team’s #90 Great Clips-sponsored Toyota is currently scheduled to compete in at least eight races this season, at Dover, Charlotte, Gateway, O’Reilly Raceway Park, Bristol, Phoenix and Homestead-Miami. They were also scheduled to race at The Milwaukee Mile, before that dated was pulled from the series schedule. Sweet made his Truck Series debut last season at Phoenix International Raceway, qualifying 23rd and finishing 22nd. He will continue to compete with the World of Outlaws Sprint Car series, after driving USAC Midgets and Sprint Cars for Kasey Kahne Racing the last two years. Michael McDowell has confirmed that he will drive the #81 MacDonald Motorsports Dodge in the full 2010 NASCAR Nationwide Series schedule. McDowell finished 13th in Nationwide points a year ago, and joins a MacDonald Motorsports team that boasts a new shop in Mooresville, NC, new race cars and a new crewchief in Patrick Donahue. An finally, Hunt Brothers Pizza will return to Richard Petty Motorsports in 2010, sponsoring driver Elliott Sadler’s #19 Sprint Cup Ford in six races. They backed RPM teammate AJ Allmendinger is a similar number of events last year. Sources tell Sirius Speedway today that NASCAR could mandate a larger restrictor plate for this year’s running of the Daytona 500. Sprint Cup Series racers were required to run a 31/32” plate at Daytona and Talladega last season, but multiple sources who attended a meeting with NASCAR today say the sanctioning body may allow a bigger plate this season, in an effort to boost horsepower, torque and throttle response. That move would reportedly come as part of a package of changes that could include aerodynamic modifications to the rear window area, and a switch from rear wings to old-style rear spoilers. A number of procedural changes are also bring discussed, including the abolition of no bumping zones and the so-called “yellow line rule” at both Daytona and Talladega. A spokesman for NASCAR declined to comment when asked about the restrictor plate change earlier today, saying that meetings are ongoing with drivers and teams, and that no final decisions have been made. Last night, The History Channel debuted its new auto racing reality show, fittingly dubbed "Madhouse." The show chronicles the races and racers at Bowman Gray Stadium in Winston-Salem, NC, NASCAR's longest running weekly racetrack, and one of the country's most successful operations. Every week, fans jam the cramped confines of Bowman Gray to experience the excitement, color and passion of racing on a quarter-mile bullring. And when word was received that a reality show would be based on the track and its drivers, hopes were high. It didn't take long for those hopes to be dashed. In the opening 10 minutes of the program, the producers of “Madhouse” set an extremely low bar, rolling out a series of one-dimensional, redneck stereotypes that set the sport of stock car racing back 50 years. They spend the remainder of the hour failing to clear that bar. Drivers Junior Miller and Burt Myers are Bowman Gray’s version of the Hatfields and McCoys. They don’t wear bib overalls, chew on stalks of grass or tote shotguns through the pit area, but their hatred for each other – and their seeming willingness to wreck each other at any price – is what drives the show. Miller is portrayed as the “bad guy” of Bowman Gray Stadium, and seems to revel in the role. If the opening hour-long installment is to be believed -– and I’m not sure it is -- Miller lives for no other reason than to put Burt Myers in the wall. Miller’s every utterance seems to concern Myers and what he plans to do to his rival the next time he gets close enough to wreck him. The people surrounding Miller don’t come off well, either. The waitresses at his restaurant berate Myers, his wife berates him, even Miller’s dog growls when asked if he likes Burt Myers. Not everything about “Madhouse” is distasteful. A short period of Sunday's season premier was spent illustrating the technology associated with modified racing, providing a fleeting glimpse of actual education and intelligence. Underdog Chris Fleming provided an endearing example of what racers often endure in the name of competition. A self-described “one man band,” Fleming fields his modified partly by repairing bent and broken parts scrounged from other teams. One of the few endearing moments of the hour came when Fleming wept while speaking of the sacrifices his wife has made in order to keep him on the racetrack. 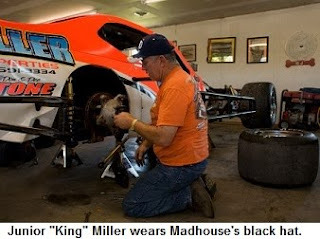 Track champion Tim Brown is also portrayed in a favorable light, remarking in the show’s opening minutes that the more Miller and Myers wreck each other, the easier it is for him to win. Sadly, Fleming and Brown inhabit a tiny island of normalcy in the ocean of insanity portrayed as Bowman Gray Stadium. I say “portrayed as” because I don’t believe BGS is as bad as the producers of “Madhouse” make it seem. Reality TV has long been dogged by allegations of opportunistic editing and participants who ramp-up the drama. While not working from prepared scripts, Miller, Myers and company obviously know what's expected of them. They deliver the trash-talk and drama, relentlessly teasing the cataclysm to come without actually laying a wheel on each other. I’ve been around racetracks all my life, and until last night, I had never heard a driver say, “I am the greatest.” Last night, every driver said it. On “Madhouse,” everyone trash talks the competition as if they're being paid by the four-letter word. “Burt Myers hates Junior because he can’t beat him,” huffs Miller’s wife. Maybe arrogance really is the common denominator at Bowman Gray Stadium, but nobody is as unfailingly obnoxious as “Madhouse” portrays its characters to be. Last night’s season premiere featured good guys, bad guys, and nothing in between. There’s plenty of black and white, but not a single shade of gray. The villains have no redeeming qualities, and the heroes never utter a discouraging word. Real life is not that way. “Madhouse” caters to non-race fans, at one point explaining that qualifying is important because the polesitter starts up front and earns the shortest route around the track. Sadly, the only thing first-timers really learned last night is that stock car racing is a haven for semi-educated, trash-talking roughnecks with more front bumper than brains. “Madhouse” is obtuse, obscene and disgustingly violent. It’s Jerry Springer on racing slicks. Sunday night's show ended with a “join us next week” montage of fistfights, handcuffs and obscenities, putting the finishing touches on a thoroughly distasteful portrayal of racing in the south. There was one positive development, though. After watching the opening installment of “Madhouse,” I no longer consider “Days Of Thunder” to be the worst portrayal in the history of motorsports. NASCAR’s Managing Director Corporate Communications said today that the sanctioning body is investigating the possibility of replacing rear wings with old-style rear spoilers in the NASCAR Sprint Cup Series, in time for the start of the 2010 Daytona 500. However, Ramsey Poston told Sirius NASCAR Radio’s Sirius Speedway with Dave Moody that the change has nothing to do with cars becoming airborne during high speed crashes at the circuits two superspeedways; Daytona and Talladega. “We took a car to the wind tunnel after last year’s fall race at Talladega and recreated Ryan Newman’s crash to as high a degree as possible,” he said. “Those tests showed beyond any doubt that the rear wing had no effect on the way that race car took off. If NASCAR elects to move forward with the change, Poston said the sanctioning body will wind-tunnel test the package almost immediately, before scheduling an on-track test session prior to the start of SpeedWeek 2010. Poston said NASCAR has met with every track operator since the end of last season, along with drivers, owners, crewchiefs and even media partners in an effort to determine what might be done to improve competition, and that the rear wing/spoiler is only one item on the list. Poston revealed that NASCAR is likely to loosen the reins on drivers next season, saying, “We’re going to let the drivers drive.” While declining to give specifics prior to the official announcement, it is expected that NASCAR will eliminate the controversial “no bumping zones” at superspeedways, and possibly even the rule prohibiting drivers from racing below a yellow line at the bottom of the banking at both Daytona and Talladega. Elliott Sadler told Sirius NASCAR Radio’s Sirius Speedway with Dave Moody Thursday that NASCAR is investigating new ways of keeping Spring Cup Series racers from taking flight during events at Daytona International Speedway and Talladega Superspeedway. Sadler was one of many drivers and team owners who attended a closed-door meeting with the sanctioning body at NASCAR’s Technical Center earlier today, and said there are changes being discussed. “They’ve come up with some different ideas on the roof flaps and rear windows to help keep these cars on the ground,” said Sadler. However, he denied published reports that a discussion was held about doing away with the car’s rear wing in favor of old-style rear spoilers. Kevin Harvick and Elliott Sadler will share time in Kevin Harvick, Incorporated’s No. 2 Chevrolet Silverado in 15 NASCAR Camping World Truck Series races this season. Sadler will kick off the season in the series opener at Daytona, making his first Truck Series start since 2003. Harvick returns to a truck that he piloted to back-to-back wins at Phoenix and Homestead-Miami Speedway at the end of last season. The driver lineup for the remaining 10 Truck Series races will be announced at a later date. 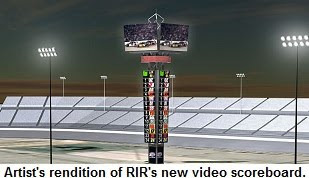 Richmond International Raceway will erect a state-of-the-art video scoring tower complete with four giant video screens in the infield of the speedway, in time for the NASCAR Doubleheader weekend April 30-May 1. The new leaderboard and video screens will be visible from every seat in the house. “The new leaderboard and video screens mark a major upgrade and improvement to our facility and will enhance the overall guest experience at America’s Premier Short Track,” said track president Doug Fritz. "Looking at surveys, fan emails and comments, our fans asked for a new leaderboard to replace the current model in the infield." Designed by Panasonic, the structure will stand 130 feet tall, topped by four LED video screens. At 130-feet high, it will be the tallest in motorsports. Each screen will measure 38-feet wide by 24-feet high, and the four-sided design will provide spectacular views of the video, including live race action, to fans all around the speedway. They will display live race action, highlights and replays, pre-produced videos and other animation and graphics. Below the video screens, a 67'x13' four-sided LED leaderboard will provide real-time running order, lap times, points standings, and current Chase standings during the final regular-season race of the 2010 campaign. NASCAR returns to Richmond International Raceway for the "Crown Royal Presents The Your Name Here 400" NASCAR Sprint Cup Series race, under the lights on Saturday, May 1. The doubleheader weekend kicks off on Friday, April 30 with the NASCAR Nationwide Series 250. Prepare For Trash Talk: Texas Motor Speedway President Eddie Gossage and Talladega Superspeedway President Rick Humphrey have placed a bit of a “side bet” on tonight’s college football National Championship game between the Texas Longhorns and Alabama Crimson Tide. 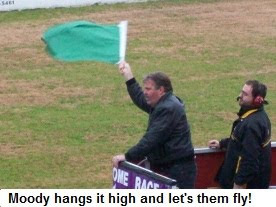 The loser will be required fly the rival track’s flag over his speedway for three days following the game, while wearing the shirt and hat of the winning team. The winner will also eat well at the loser’s expense, with Texas’ Gossage offering up a lunch from Sonny Bryan's Smokehouse, while Talladega’s Humphrey counters with a plate of Dreamland Barbeque ribs. Knowing the personalities of the men involved, a liberal dose of post-game “woofing” is also expected. 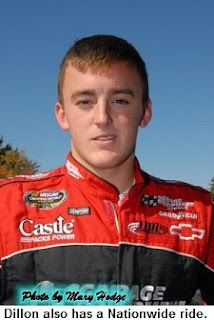 Dillon To Trucks: Richard Childress Racing will run fulltime on the NASCAR Camping World Truck Series this season, fielding a black #3 Chevrolet Silverado for third generation driver Austin Dillon. 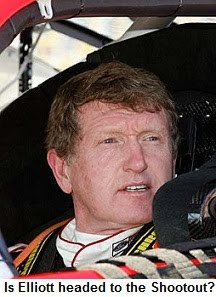 Sirius Speedway has learned that talks are underway to put former NASCAR Sprint Cup Series champion Bill Elliott behind the wheel of Roush-Fenway Racing’s #6 UPS Ford in the February 6 Budweiser Shootout at Daytona International Speedway. Elliott ran a partial schedule with Wood Brothers Racing in 2009, and is expected to do so again this season beginning with the season-opening Daytona 500. The Woods have no plans to compete in the Bud Shootout, however, leaving Elliott free to drive for another team. Ragan is not eligible for the race, while Elliott qualifies as a former Sprint Cup, Daytona 500, Coke Zero 400 and Budweiser Shootout champion. The deal is reportedly not yet complete, but awaits only the approval of sponsor UPS. A spokesperson for Roush-Fenway Racing declined to comment on the story this afternoon. Sirius Speedway has also learned that Kenny Schrader will drive the #82 Red Bull Toyota in the February 6 Budweiser Shootout at Daytona. Sources close to the team say that negotiations have taken place to put Schrader in the car usually driven by Scott Scott, based on Schrader's eligibility as a former Bud Shootout winner. Front Row Motorsports confirmed today what Sirius Speedway first told you last Wednesday; that the team will field a pair of full-time NASCAR Sprint Cup Series Fords in 2010 for drivers Travis Kvapil and Kevin Conway. Kvapil will drive the Long John Silver's Ford, with Conway competing for Raybestos Rookie of the Year honors in a second full-time entry, with sponsorship to be announced in the coming weeks. Sources close to the team tell Sirius Speedway that Conway's 2009 Nationwide sponsor -- Extenze Men's Health Supplement -- will accompany him to the Sprint Cup ranks. Front Row will receive engines from Roush/Yates Racing Engines and technical support from Ford Racing. "Obviously this is the next step for our guys and the organization," said team owner Bob Jenkins. "To have support from Ford, along with the quality engines from Roush/Yates, this is a big leap forward for us. Travis is a champion and a veteran of this series. We expect him to take us to the next level and at the same time be a great mentor to Kevin who is competing for rookie of the year. I have confidence that they can help us get to the next level." Kvapil, 33, returns to the Sprint Cup Series after his Yates Racing Ford was parked early last season due to lack of sponsorship. In 2008, the former Camping World Truck Series champion finished 23rd in points with four top-10 finishes for Yates. "It's great to be back racing on the Sprint Cup tour again with Front Row Motorsports and Ford Racing," said Kvapil. "This is a team that created a real solid base last year. They have a lot of talented guys at the shop and the addition of Ford and their support will only allow the guys to get better. I have experience with Ford and Roush/Yates Racing Engines and I feel good about what we can do on the track this season." Conway said his main goals for the season are to gain experience and compete for Rookie of the Year honors. "This is a great opportunity to compete at the highest levels of NASCAR," he said. "The goal is to gain experience as quickly as possible with the cars and compete for solid finishes as the season goes along. Having Travis as a teammate and being backed by Ford and Roush/Yates Racing Engines gives me a lot of confidence that we can perform up to the highest standards." Michael Waltrip said late yesterday that he is talking with team owner Billy Ballew about driving one of Ballew’s Camping World Trucks in a number of races this season. 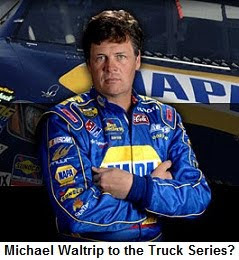 SceneDaily.com reports that the possibility exists for Waltrip to run the full 2010 Truck schedule with Ballew if sponsorship can be found, but Waltrip has downplayed that possibility. Ballew said he hopes to make an announcement within the next 10 days, involving both Waltrip and his other driver, Aric Amirola. He also revealed that Steve Wallace is also being considered for a part-time Truck Series schedule with the team, in addition to his full-time Nationwide ride with Rusty Wallace Racing. Randy Moss Motorsports announced today that veteran crewchief Gene Nead will be atop the pit box for Mike Skinner’s #5 NASCAR Camping World Truck Series Toyota this season. Nead replaces Eric Phillips, who left the team recently to accept a position at Kyle Busch Motorsports. Nead spend part of last season as crewchief for the #47 Nationwide Series entry at JTG Daugherty Racing, before being named Michael Waltrip’s Sprint Cup crewchief in August. He led Ted Musgrave and Ultra Motorsports to the NASCAR Camping World Truck Series championship in 2005. "We were obviously surprised when Eric Phillips left," said RMM co-owner David Dollar in announcing the move. "He had been at Randy Moss Motorsports for a long time and was a big part of this organization. That said, we feel extremely fortunate to have found someone of Gene’s caliber to take over. I talked to several candidates who are really talented racers and would have done a great job. But ultimately, we felt like Gene was the guy who would be the right fit for this team. I definitely think the Nead/Skinner pairing will be a force to be reckoned with, right from the start." Mike Skinner will join us at 6 p.m. ET Tuesday to talk about the move. Kevin Kidd has been named crewchief of Joe Gibbs Racing’s #20 NASCAR Nationwide Series entry, replacing Dave Rogers, who moves to the team’s #18 Toyota. Kidd has spent the last four years in the engineering department at Richard Petty Motorsports, and previously worked as race engineer on Elliott Sadler’s #19 RPM Dodge. Joey Logano, Denny Hamlin and youngster Matt DiBenedetto are all expected to drive the #20 car on a part-time basis this season, with sponsorship from GameStop, Interstate Batteries, SportClips, and Pizza Ranch. Jennifer Jo Cobb will compete fulltime on the NASCAR Camping World Truck Series this season, in equipment purchased from Circle Bar Racing. Circle Bar announced plans to liquidate its #10 operation and focus solely on Rick Crawford’s #14 in 2010, and sources tell Sirius NASCAR Radio’s Sirius Speedway with Dave Moody that Cobb has secured sufficient sponsorship to purchase those trucks and equipment. Cobb placed a deposit on the operation last week, with payment expected to be completed later today. Veteran NASCAR Nationwide Series driver Mike Harmon confirmed today that he will step back from his driving duties to be involved in the operation. “I’m going to run the team for them," he said. "I will still do some driving on the Nationwide and Truck Series when I can, but this new team will be my first priority. I haven’t had fun driving in a long time. It’s tough when you haven’t got the money to run well, so when this opportunity came up, I decided to take it. Cobb said she will also compete in the ARCA season-opener at Daytona, and will also run a limited number of Nationwide Series events. The Sirius Speedway gang (well, most of them) made a New Year's Day pilgrimage to Andy Hillenburg's Rockingham Speedway Friday for the 2010 running of the "Polar Bear 150." The day dawned chilly -- and stayed that way -- but the racing was red-hot, as Chuck Barnes held off a last-lap challenge from Brett Hudson to win the 150-lap event for the second year in a row. Will Kimmel finished third, with Frank Kimmel II and Chad Hall completing the Top Five. The Frank Kimmel Street Stock Nationals event was a thriller from start to finish, with 18 official lead changes and 12 caution flags, including a pair of red-flag stoppages for multi-car pileups. Jimmy Elledge's Sirius Speedway/L&M Construction #81 Chevrolet qualified tenth for the main event, but fell back slightly after the race's Grand Marshall, Sirius Speedway host Dave Moody put the field under green. 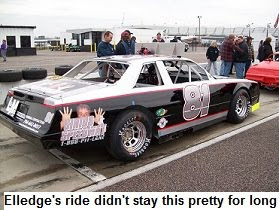 Elledge brought his extremely loose race car back from the brink of disaster a handful of times in the opening laps, before finally spinning in Turn Three on lap 44. A number of drivers took evasive action before Elledge's pristine Monte Carlo took a hard hit to the nose that sent him behind the wall for the remainder of the day. “It’s my fault," said Elledge afterward. "I was being stupid and driving too hard. The car was way too loose, and I was trying to get to halfway to get it tightened up. Unfortunately, I was faster than the guy in front of me and couldn't resist going for the spot. When I got below him, he drove in on the outside of me and forced me to the bottom of the racetrack. I was WAY too loose on the bottom, and it got away from me. Despite pacing Thursday's lone practice session, qualifying on the pole and capturing the checkered flag in the main event, winner Barnes admitted in Victory Lane that he did not have the fastest car. Attrition was high, with a pair of six-car crashes among the 12 caution periods. Only nine cars were able to finish on the lead lap, and nearly a third of the 68-car starting field was in the garage by the halfway point. Thanks to Andy Hillenburg and his staff for providing a great start to the 2010 racing season. See you next year!